*Capacity and throw distance vary with conditions. 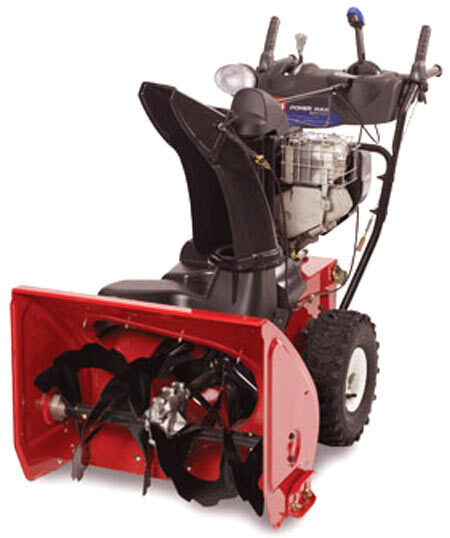 Questions on the Toro PowerMax 1128OXE Snowblower? A breakthrough in snowthrowing technology, the Toro Power Max auger system handles more snow in less time to get the job done fast! This revolutionary system meters snow intake. Snow that's not immediately thrown, is returned back into the auger, providing maximum impeller speed and snowthrowing velocity. The expanded chute base with its inverted, funnel shaped design has a larger opening and a non-stick surface to minimize snow build up.